Unlike solid flooring (where, as the name suggests, each plank is one piece of wood), an engineered floor board consists of a top layer of hardwood such as Oak, and a base layer of plywood (which itself consists of multiple layers). Is Engineered Better or Worse than Solid Flooring? Very often it is the best choice. This is because the base layer makes an engineered board more tolerant to changes in the moisture content of its environment. Wood is hygroscopic (meaning it absorbs water) so if there is moisture nearby then the wood will take it on and swell. Even seasonal changes to air humidity in the UK can be enough to cause wood to expand and contract as it takes on and releases water. But to make matters worse, many buildings will have their own ‘micro-climate’ which is influenced by things like central heating, damp, or temperature differences between different rooms. Whatever the cause, variations in environmental humidity over time can cause a wooden floor to move and to become uneven as a result of that movement, either buckling, or showing gaps between planks. A solid plank of wood will react more strongly to differences in humidity than an engineered plank. We’ve explained why this happens in more detail here, but all you really need to know is that the base layer in an engineered board acts as a buffer to moisture from underneath, and as a stiffener to hold the solid wood layer in place. Although it might sound contradictory, a board made from different layers pressed together is actually more stable than a solid plank with only one layer. they will leave gaps in the base. Whether they do one or more of the above things, the result is always the same: a less stable and less strong engineered plank that is far more likely to change it’s shape or to buckle or crack. Both the top layer and the ply in Woodcraft engineered floors – whether Ash, Maple, Oak or Walnut – come from managed forests that are certified by the FSC (and, in the case of Oak, also CARB). Our founder Mursel chose our Oak supplier after a four month search, having visited their factory in the Ukraine to see for himself the forest, the felling and logging process, the treatment and preparation of the Oak top layer and the ‘cold press’ procedure that creates an engineered plank. Our Ash supplier is based in Croatia. This is the same manufacturer that supplied Mursel’s family wood-working business in Kosovo with Ash for many years (you can read about the origins of Woodcraft here), and was selected by his family all those years ago because they found Croatian Ash superior in quality to their local Kosovan Ash. To this day we continue to use the same excellent product in our floors. 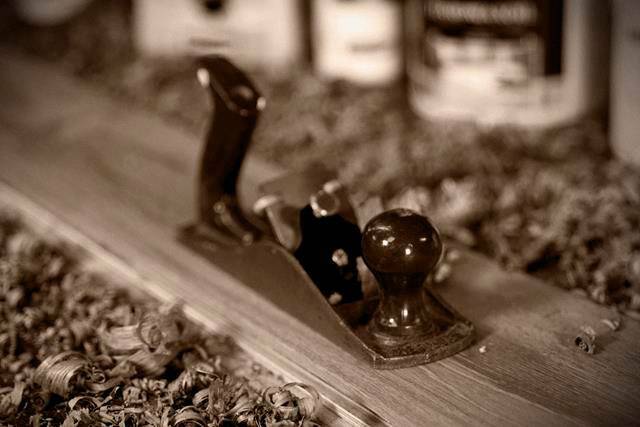 Our Maple and Walnut suppliers are both based in the UK and use wood imported from North America and Canada. In each case, they approached us, but each time we were very impressed with the quality of the raw material, the manufacturing process and the finished product. Previously we had not felt confident offering either species to our customers. We can source Wenge if required. FSC-certification for Wenge is not possible currently due to the wood’s endangered status. Here we are describing the process for our Oak engineered planks, but it’s more or less the same for all species. An Oak tree will be felled and – while still fresh – will be cut into planks about 10mm thick which are then sanded and brushed before being dried in a kiln to British Standard BS8201. Kiln drying accelerates the natural air drying process that would normally occur. Fresh cut wood has more moisture in it than is desirable, but the time for it to dry naturally could vary enormously according to the local climate. 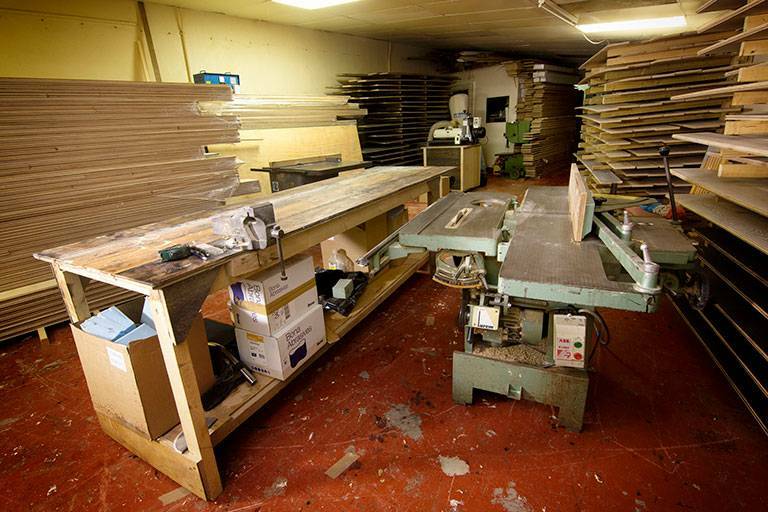 Kiln drying guarantees that the wood has reached the correct state (9-10% moisture content) throughout before it is bonded with the plywood base using EPI glue. The moisture content of the plank will affect both its ability to absorb the glue and its ability to withstand the extreme pressure exerted on it during the cold pressing process. If the pressure is too great, or the wood is not hard enough, then the structural integrity of the plank could be compromised; if the pressure is not strong enough then the bond will not be strong enough; if the wood is not uniformly dry then the bond will not apply evenly over the entire plank. A superb quality engineered plank with a full thickness of 21mm as standard for Oak, of which 6mm is the top layer and 15mm is the base layer (we can also supply 18mm and 16mm thick planks if required). Our standard Ash planks are 1mm thinner because Ash can have a greater force applied to it so the plank is more tightly bonded in the ‘cold press’ procedure. No matter the species, each plank will have the appearance of a solid piece of wood when viewed from above, but its construction means it will be far more resistant to changes in humidity than a solid floorboard. 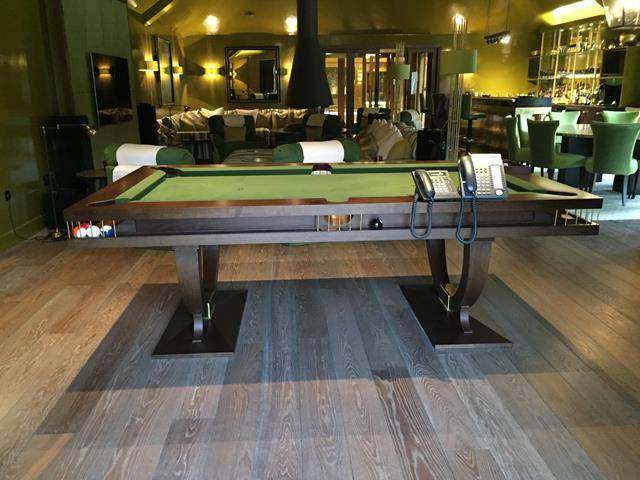 Depending on the species, our engineered planks are available in lengths of between 1.2 metres and 3 metres, with widths of between 120mm and 400mm – although we usually recommend that customers do not choose a board width of over 320mm as there is an increased risk of movement in environments that undergo variations in humidity. Different wood species also have different characteristics, so our recommendations for you will be based on the individual environmental conditions your floor will be subject to after installation. Read more about how we’ll help you make the right choice here. Our engineered planks are ‘tongue and groove’ meaning they slot together, and they can be installed on any sub floor including wood, concrete, latex, plywood and chipboard. They are suitable for use with underfloor heating, and our all our engineered floors come with a 25 year guarantee.